Rehana has a busy Public and Civil practice and undertakes work in a broad range of areas including, Immigration, Refugee & Asylum, Administrative/Judicial Review, Civil and Education law. During her GDL, Rehana set up an NGO to raise awareness of the challenges faced by internationally-displaced people and during her BPTC year, she worked as an analyst on the UN Drone Inquiry, evaluating allegations that the use of drones in extra-territorial and counter-terrorism operations has resulted in disproportionate levels of civilian casualties. Prior to pupillage, Rehana worked as a paralegal in the International Group Claims department at Leigh Day assisting in civil claims involving alleged human rights abuses at the hands of British forces by claimants in Afghanistan. She also served a 4-year term as a Director for the School Exclusion Project, run jointly by City Law School & Matrix Chambers, as part of a small team that developed and pioneered the project. During this time she represented clients with Special Educational Needs at Governor Hearings, Independent Review Panels and First-Tier Tribunals. 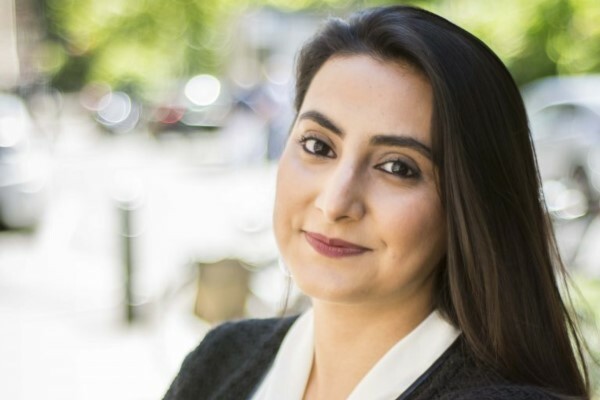 Rehana is the first Afghan national to be called to the Bar by Inner Temple and is the only female Afghan Barrister currently practising in England and Wales. Rehana welcomes instructions that are either privately funded or legally aided and is also happy to assist on a Public Access basis where appropriate. Rehana is regularly instructed in the First-Tier and Upper Tribunals, High Court and Court of Appeal on asylum and public law cases, with a particular focus on complex claims and those involving victims of torture, sexual violence and LGBTQ. Rehana is highly regarded for her ability to engage with particularly vulnerable clients and to approach her cases with a strong client-focus. Rehana is particularly passionate about Education Law. Prior to commencing pupillage, Rehana was a Director of The School Exclusion Project for four years. This is an award-winning pro-bono unit dedicated to representing parents of permanently excluded school children. Rehana regularly appears in County Court, acting for both Claimants and Defendants in small claim track, fast-track and multi-track matters. Rehana has considerable experience in conducting trials, applications and appeals. She regularly appears in the County Court. SSHD v VC (Sri Lanka), Court of Appeal – Civil Division, November 30, 2017,  EWCA Civ 1967 – Rehana was led by Shivani Jegarajah for the respondent, VC, in an appeal on whether a parent can have genuine and subsisting parental relationship with children in care. SJ (Sri Lanka) v SSHD  IJR UT (IAC) – Successful Judicial reviewed a criminal deportation of a man convicted of violent offences on Article 8 grounds. VK (Sri Lanka) Ex Parte  (Court of Appeal) – Successfully obtained an emergency injunction preventing removal of a potential victim of torture on the grounds of pending challenge of the Fast Track Procedure Rules 2005. JP (America) v SSHD (Carers – Reg. 15A, Zambrano)  FTT (IAC) – Successfully appeal under Regulation 26 of the EEA Regulations 2006, against the respondent’s decision. Arguing breast feeding amounts to primary care for the purposes of a derivative right of residence in the UK under Regulation 15A(4A) of the EEA Regulations. FS (Pakistan) v SSHD  FTT (IAC) – Successfully appeal against the respondent’s decision, refusing the applicants application for entry clearance under paragraph Appendix FM. YV (Sri Lanka) v SSHD  FTT (IAC) – Successfully appeal against the respondents decision to refuse a Human Rights claim of a 70 year, who had lived in the UK for 13 years illegally.